Inhaler Dose Counter keeps track of remaining medicine. Single Dose Counter, which lets PMDI (pressurized metered dose inhaler) users countdown number of doses taken, has 999-count range. Product can also be pre-set to count any specific number in-between, as in counting down from 200 or 120 to 0, allowing users to keep track of medication and alerting them when inhaler is nearing its useful end. Able to be retrofitted to all types of standard mouthpieces with minor modifications, product features 7-part construction. RPC Formatec has introduced a new cost-effective system that enables users of PMDIs (pressurised metered dose inhalers) to easily countdown the number of doses taken from their inhalers. The Single Dose Counter can accurately count up to 999 doses and can be pre-set to count any specific number in between, for example counting down from 200 or 120 to 0. This allows users to easily keep track of their medication and alerts them when the inhaler is nearing the end and requires replacing. Also from RPC Formatec the patented Dose Indicator is an innovative system that enables users of all types of PMDIs to accurately and reliably monitor the number of doses taken from their inhalers. The system is FDA approved and has been designed to fit all common types of valves including 3M, Bespak, V.A.R.I. and Aptar Pharma. As well as being available for new inhalers, the Dose Indicator can be easily integrated into existing dosing aerosols with only slight modification of the mouthpiece. 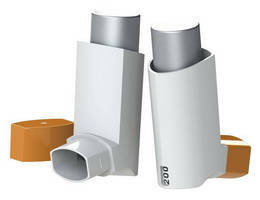 The robust and simple-to-use injection-moulded design provides a counter that indicates the amount of times the inhaler has been activated. The system can be tailored to specific customer requirements for the number of actuations – between 40 and 225 individual doses. Contamination Monitors perform fluid cleanliness analysis. People Counting System enhances building intelligence.